Best Cooper’s Hawk menu prices page. Cooper’s Hawk Restaurant is a unique concept that combines a modern casual dining restaurant, full-service bar, private barrel-aging room, and wine tasting room & retail gift shop under one roof. The tasting room and main menu feature wines from Cooper’s Hawk Winery. The Cooper’s Hawk extensive menu includes appetizers, salads & soups, signature entrees, burgers, sandwiches, and homemade desserts. The menu also offers seasonal dishes. All entree dishes are paired with a Cooper’s Hawk wine as a suggestion. Cooper’s Hawks also has a kids’ menu for diners 12 & under. Wine connoisseurs can join the Cooper’s Hawk Wine Club, an all-inclusive club where members can receive a newly released wine each month, an invitation to members-only events, discounts, earn points, birthday specials, and the Wine Club newsletter. Below is the latest Cooper’s Hawk menu. Each Cooper’s Hawk location is distinctively designed and laid out. All locations feature rich and warm tones, views of the aging room, and communal dining tables. Cooper’s Hawk can also host your social or corporate event in a one-of-a-kind setting. Check with a specific location for more details. We know you don’t always have time to sit down and enjoy a meal at Cooper’s Hawk. That’s why Cooper’s Hawk offers a carry-out option to fulfill your craving. For the wine lover in your family, get them a Cooper’s Hawk card and let them decide what they like at the on-site retail gift store. Cooper’s Hawk Winery & Restaurant is the brainchild of founder Tim McEnery. The first location opened in 2005 after 4 years of conceptualizing, planning, and construction. Tim has an extensive background in the hospitality industry that began at the age 11. 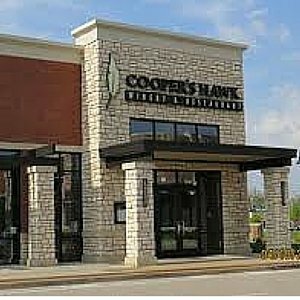 There are now 18 Cooper’s Hawk locations with more in the planning phase. To learn more about Cooper’s Hawk Winery & Restaurant, visit their official website.